This week we take a look at the man behind the camera and his interest in the weather - and waves. Amateur photographer Mike Davies from Cadoxton Neath, has always been interested in photography since a very young child, and loves to take photographs of weather, the wilder the better, but he also looks to the skies for interesting cloud formations which he often gets screened on BBC Wales and ITV1 Wales along with them being screened on the weather slot on NBC Augusta. He has also been a loyal member of the “Cloud Appreciation Society” since its concept where members from all over the world send in photographs of unusual cloud formation. 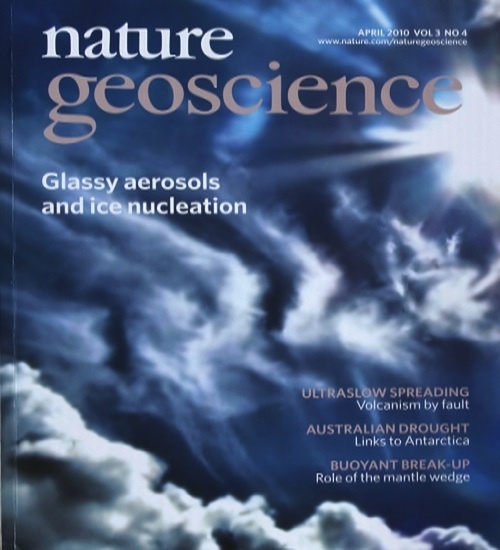 Mike was approached by the magazine Nature Geoscience for a cloud photograph which they spotted on the Cloud Appreciation Society forum for publication on the front cover of their April edition which is available in book shops and on line. 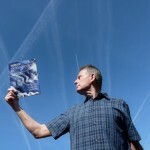 Mike tells us he is on cloud nine over this wonderful scoop and here is Mike “reaching for the skies” and goes onto mention that "nature Geoscience" has blown up images of the front cover which was used to promote their journal at the Euopean Geoscience convention meeting in Vienna attended by 10.000 scientists. 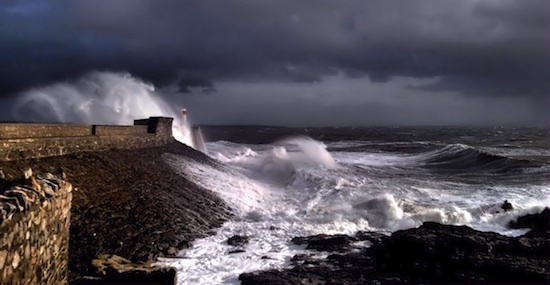 I remember a few months ago I went to Porthcawl early one morning to take photos of the high tide in a storm, and I particularly wanted the waves to go over the light house. I arrived by the light house, turned on the camera -- no power I had only left the battery in the charger and the spare in the draw, I was not amused. My wife suggested that I used her mobile, it has a small zoom, so, as never used one before she showed me what was on it. I went out and took a photo without much hope and this was the result, had to play around with the levels but all in all I was very pleased with the result.